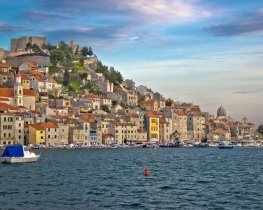 Croatia is an extraordinary country boasting towering mountains, verdant crops of coastline and charming seaside towns. 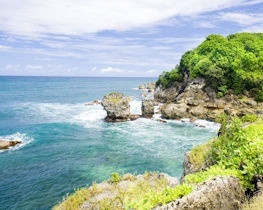 Its unique coastline is packed with pristine beaches with clear sapphire waters, protected by the thousands of islands that dot the coast. 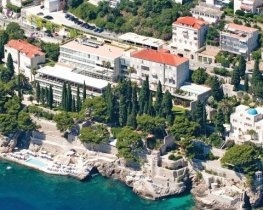 Croatia is fast becoming one of the most popular luxury holiday destinations in Europe. Whilst it was once caught up in conflict, there’s little evidence of this today. Now there’s the charm of a destination on the up, with plenty of rustic, traditional touches. 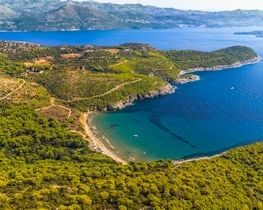 Luxury Croatia holidays can offer something for everyone from beach filled family holidays to exploring well-preserved history and scenic natural habitats. Croatia boasts a fascinating and complex history with Neolithic inhabitants dating back to 30,000BC. As a nation, it has claimed independence since 1991. 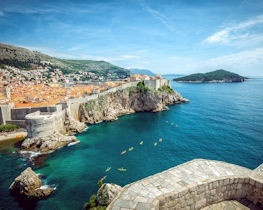 Today you can see its conflicted past in the marvellous ramparts of Dubrovnik and the immaculately preserved World Heritage Sites dotted around the country. Climates throughout the country can vary, but in general, Croatia can be relied upon to offer plenty of sun and temperatures often reaching 25°C and above in the summer months. September is still warm but generally the rainiest month. Winter on the coast doesn’t tend to get colder than 5°C but further inland it can easily drop below freezing. For a month by month guide to weather and events read our post on the best time to visit Croatia. The coastal and inland differences extend to the county’s cuisine. Coastal areas feature more seafood as well as Italian inspired dishes thanks to its proximity to the Italian coast. 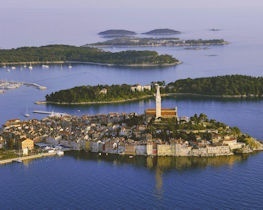 Around Istria, the Italian influence is most evident, with pizzas, risottos and famous wild truffles. Inland there are more eastern European flavours with hearty red meats and vegetables. Look out for the pljeskavica, a hamburger like minced meat served in a flatbread bun. For multi-centre holidays in Croatia speak to our experts on 0800 047 1066 who can create an itinerary personalised to you. Croatia has some of the cleanest beaches in Europe, and, although they can’t boast the fine sands of neighbouring countries, they can boast that Blue Flags have been awarded to more than one hundred beaches along the Adriatic Coast. Because most of the beaches are shingle rather than sand, it ensures that the Adriatic waters are some of the clearest and cleanest in the world. Although not many of them are sandy there are some hidden treasures to be found, including Omis and Rab Island. Read our blog for the best beaches in Croatia. On Brac Island you’ll find Croatia’s most famous beach. Zlatni Rat is often featured in glossy brochures and picture-perfect postcards. Made up of soft shingle, the beach certainly lives up to its hype. 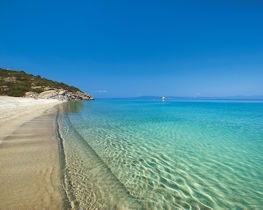 Referred to as ‘the Golden Cape’ or ‘Golden Horn’ people are drawn to its shallow clear waters and breath-taking views. 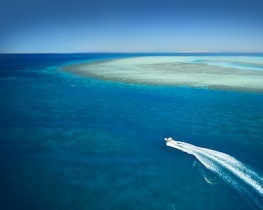 Plus, it’s near the popular harbour town of Bol. 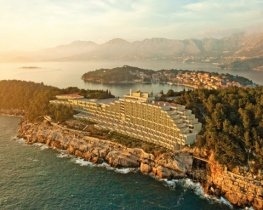 In Dubrovnik, Banje Beach takes centre stage. Depending on the weather, the beach ranges from shingle to sand. The beach overlooks Dubrovnik’s Old Town making an excellent backdrop to easy sunbathing and shallow swimming. A superb selection of restaurants, bars and café’s line this lovely beach providing much needed refreshment from the summer heat. Whilst most visitors tend to centre their attention on Croatia’s coastline, there’s plenty to warrant venturing inland. 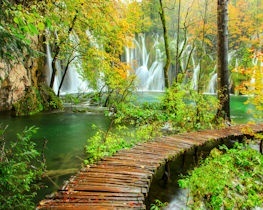 Particularly to Plitvice Lakes National Park, located in Croatia’s centre. This enchanting forest features a network of 16 vivid blue lakes interconnected by a series of flower laden waterfalls. The parks natural beauty is protected by UNESCO making it a haven for unique plant life and animals such as deer, boars, rare birds and even bears (although you’ll unlikely come across one). It’s highly recommended to take up a professional tour to witness the best the lakes can offer. 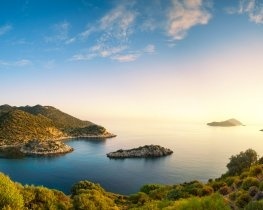 23 miles from Dubrovnik, Mljet covers an area of 62 square miles of verdant forests. Declared a national park the islands flora and fauna is fiercely protected and visitors must pay an entrance fee. There are two stunning saltwater lakes which attract a plethora of rare species of wildlife and colourful subtropical plants. Hire a bike and explore or simply meander the islands verdant pathways. Mljet is reachable by ferry from Dubrovnik which takes approximately 2 hours although the journey is well worth it. There’s as much going on under water as there is above it, which is why Croatia is fast becoming an internationally popular diving destination. On the east side of Bisevo Island (which is located east of Hvar) there’s a famous waterlogged cave called the Blue Grotto, where on sunny days, the rays of sunlight come through an opening in the rock, casting a luminous blue light through the water. Diving in Croatia is strictly regulated and visitors cannot participate without first obtaining a certificate for which proof of an internationally recognised dive course is required. Week long courses are also available for beginners. If hitting the town is what you’re after, head to the island of Hvar. By day you can lounge on one of many pebbly beaches, or scale the hill up to the fortress where there are stunning views of the island and beyond. By night, the bars, clubs and restaurants come alive. One club is even on its own island, with short boat trips ferrying partygoers throughout the night. Due to the influences of neighbouring countries and the change in ruling over the years, Croatian cuisine varies across regions. Places in Dalmatia and Istria tend to display Mediterranean influences and Italian traditions, with fresh seafood, pasta, salads and cooked vegetables tossed in olive oil and garlic. Buzara, a dish of clams, mussels and shrimps cooked with white wine, breadcrumbs, parsley and garlic is a delicious meal worth scouring the menus for in coastal Croatia. Areas further inland, in contrast, have more Turkish, Hungarian and Austrian influences, due to these countries’ proximity. Known as Zagreb cuisine, there tends to be more red meat and freshwater fish dishes. One popular meal is zagrebacki odrezak, which is veal steaks stuffed with ham and cheese, which are then breaded and fried. One of the most popular things to do in Dubrovnik is to walk the walls that envelope the Old Town: an adventure that provides a bird’s eye view opening up delightful vignettes of local daily life. Although the whole walk is great for photographers, the southern walls plunging into the Adriatic are the best location for superb sunset shots. Dubrovnik’s Stradun, Placa, or central thoroughfare is a must-visit. A far cry from the bitter siege of 1991, it’s the delightful heart of the Old Town boasting many restaurants, a sprinkling of cafes and a smooth cobbled road bordered by co-ordinated lamp posts. Another must for things to do in Dubrovnik is to take a trip on the cable car. The Dubrovnik Cable Car offers the most stunning views of the old town and out across the Adriatic Sea. 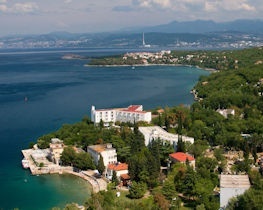 As the country’s second-largest city and metropolitan hub of the coast, you can fly directly to Split, and there’s plenty to do once you’re there. History fans will appreciate a visit to Diocletian’s Palace, a UNESCO World Heritage Site dating back to the 4th century AD, as well as the medieval Old Split. 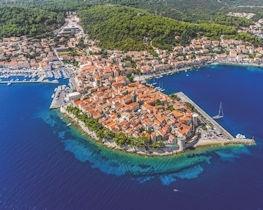 For a quieter day trip, Split is the starting point for many boat trips to nearby islands, and is also a short drive away from several smaller beaches and towns along the coast. On Croatia’s northwest coast, the Istria Riviera is a trendy area known for its award-winning wines and high-quality restaurants. From the food to the Venetian architecture, there’s a clear Italian influence here, due to the area’s proximity to the country. You’ll find beautiful beach coves, fortified medieval hamlets in the hills and fewer throngs of people than the more traditional tourist hubs further south. Located on the Dalmatian Coast between Split and Dubrovnik, the coastal Makarska Riviera has both beautiful beaches and plenty of adventure on offer. Backed by the pink-hued Biokovo Mountain Range, there are pine fringed woodlands to explore via mountain walks. Makarska Town itself is the highlight of the region with its pretty harbour, cobbled streets and renowned Franciscan monastery. 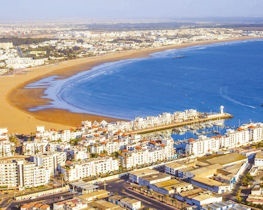 Beach-wise, you’ll find the longest stretch of the whole coastline at the nearby town of Tucepi. 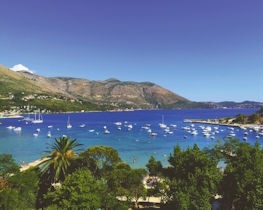 Korcula is one of the most Beautiful Croatian Islands. A quieter destination than Brac or Hvar, the island of Korcula has lots of vineyards and dense forest. 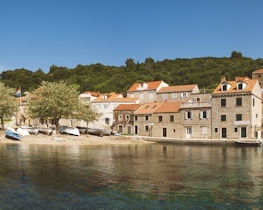 Korcula Town is one of the main man-made places to explore. Hailed as the birthplace of Marco Polo, there’s even a place that claims to have been his house. It’s nicknamed ‘mini-Dubrovnik’ due to its medieval squares, churches and houses, which are well worth a walk around, to see what statues and architecture you might stumble upon. 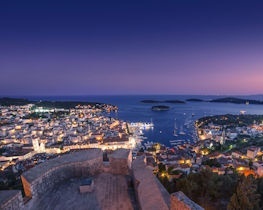 For holiday-makers deciding where to go in Croatia, Hvar Island is increasingly becoming one of the most popular Croatian holiday destinations. Situated in the Adriatic Sea, just off the Dalmatian coast, Hvar Island has a wealth of beaches and bays and fantastic historical sites. Hvar Fortress offers exceptional views from its hillside location and is perfect for photo opportunities.